How Did Biblical Hebrew Change? 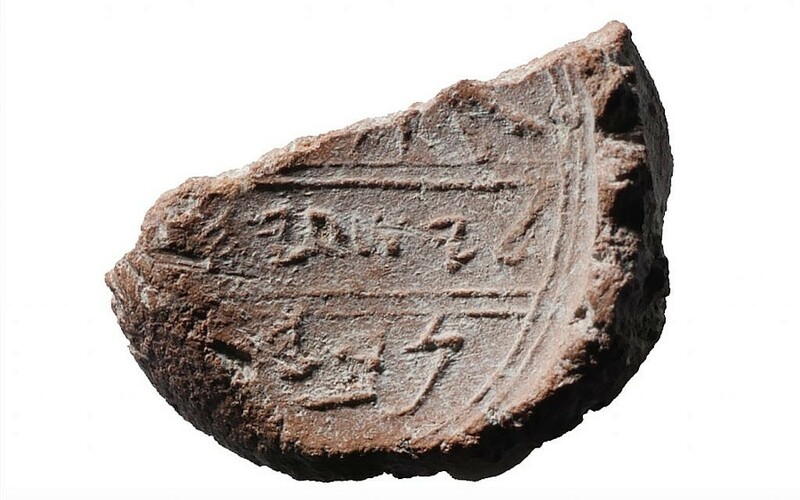 In a hot-off-the-press popular article in Biblical Archaeology Review (September/October 2016), Avi Hurvitz discusses “How Biblical Hebrew Changed.” It is certainly true that Biblical Hebrew evolved over time, but the particulars of how that happened are more complex and debated than Hurvitz acknowledges. The example that he discusses, ʾiggeret and sēfer for “letter,” is a case in point. You can read Robert’s whole article HERE at Bible Interpretation. This interaction demonstrates yet again how the discussion about the dating of Biblical Hebrew on linguistic grounds is often framed too simplistically. Robert exposes some of the extra issues that are often in a kind of ‘blind spot’ for many participating in the discussion. Yes, Hebrew did develop over time, as every language inevitably does. However, the connection between Standard Biblical Hebrew (aka ‘Classical’ Biblical Hebrew or ‘Early’ Biblical Hebrew) and Late Biblical Hebrew is not one of linear development from one to the other. It isn’t even the standard ‘S’ curve development. These were two styles of Hebrew that were contemporary for quite a long time. Late Biblical Hebrew is not the child of Standard Biblical Hebrew, but its sibling. Here’s one for the Hebrews and Shebrews. Conventional wisdom says that Early Biblical Hebrew (aka Standard Biblical Hebrew or Classical Biblical Hebrew) came first, and then Late Biblical Hebrew. But when you actually analyse the evidence, this view starts to unravel. Ian Young, Robert Rezetko, and Martin Ehrensvärd have argued very convincingly that Early Biblical Hebrew and Late Biblical Hebrew were not linear diachronic developments, but rather contemporaneous styles of Hebrew in antiquity. This means that it’s practically impossible to date a biblical text based solely on linguistic criteria. Their compelling argument can found in their two volume work, Linguistic Dating of Biblical Texts, and their more recent Historical Linguistics and Biblical Hebrew. Once you “see” their argument, you can’t “unsee” it. They look at the evidence in such a logical way that it makes you wonder why it has taken Hebraists so long to see what is so obvious. Yet many Hebraists still don’t see it. It almost feels like they’re looking at one of those pictures that have a “hidden” 3D shape (a stereogram, like this). They claim to be finding the 3D shape. And if you can’t see it, it’s because you’re not looking at the right way. Try squinting or staring beyond the page. But the irony is that the picture isn’t one of those 3D shapes! It’s just a normal 2D picture. They’ve been looking at it all wrong, and yet the real picture is there staring them in the face. So the old and disproven paradigm persists. It seems to be dying a slow death, as evidenced by a few recent articles. Young, Rezetko, and Ehrensvärd have clarified their position in a paper titled “Do We Really Think That Ancient Hebrew Had No Chronology“. I hope scholars, especially the younger ones, start just looking plainly at the evidence instead of squinting and forcing a particular paradigm onto it. Can Loanwords in the Hebrew Bible be the result of scribal updating? A loanword is a word that originates in one language, but makes it into another language for common use. The Hebrew Bible is replete with loanwords. These are interesting cases, because it makes us ask how and when these loanwords made it into Hebrew. They are often used as evidence for particular (usually late) dating of biblical texts. I was recently asked whether it was possible for loanwords to have crept into biblical texts through editing. That is, could a later scribe, in the process of copying a text, have updated the language and replaced a Hebrew word in the early text with a loanword from another language? And if this is possible, what does this tell us about our methods of dating biblical texts? Well, the scenario of later scribes inserting later loanwords into earlier texts is possible, but there is absolutely no way of verifying it without manuscript evidence of such a replacement occurring. If all we have is the text with the loanword, how are we supposed to know whether there was another word there originally? Although the suggestion is possible, it is pure speculation. This makes me ask three further questions. First, why would we make this suggestion when it cannot be verified? Is it possible that we want a text to be dated early and a loanword is a ‘spanner in the works’, leading to a form of wishful thinking that perhaps the implication of a loanword can be sidelined if we introduce another reasonable-sounding variable? If this is the case, then it’s putting the cart before the horse in terms of reasoning. The second question to ask is whether the suggestion of a loanword replacing an earlier Hebrew word is plausible. The third question to ask is whether it’s probable. Anything is possible. A few things might be plausible. But only one thing is probable. It’s possible that the music I can hear in the distance is coming from a left-handed Albino midget from Tanzania who plays the fiddle every Tuesday in Buenos Aires each July and who is currently leading a mariachi band here in Sydney. It’s possible! But it’s not all that plausible. It probably is just someone’s iPod playing through speakers. So, is it plausible, and even probable that a later scribe would update an earlier text with loanwords? I say it probably isn’t. Here’s why I say that. If the loanword is a common word that could come through ‘plebeian’ means, like trade or migration, then it’s possibly original and early. That is, the loanword entered Hebrew at a very early stage. But if that’s the case, then we’re no longer talking about a later scribe updating an early text. Also, loanwords of this sort are usually limited to the languages of wide-faring merchants. The Phoenicians were one such group, but their language is very close to Hebrew anyway, so we would be talking about cognates, rather than loanwords. The other wide-faring merchants were Greeks. So perhaps all the Greek loanwords in Hebrew are early? The second principle I mentioned above is important here. We need to consider the type of word represented by the loanword. If the word is an item that could be commonly traded or influenced, then yes, it might be a loanword. Words for luxury goods, musical terms, architectural terms, or names of exotic animals can all be loanwords. But if the word comes from the domain of authority and institution, then its entry into Hebrew is unlikely to pre-date the rise of the people who spoke the original language as a colonial power. Persian loanwords are, in this particular case, quite telling. For example, the word דת (dat: ‘law’ or ‘directive’) reflects the mechanisms of rule. The word פרדס (pardes: ‘park’ or ‘botanical garden’—from which we get our word paradise) reflects the lifestyle and accomplishments of Persian royalty. Could such words have entered Hebrew before significant contact between Persians and Israelites/Judeans? 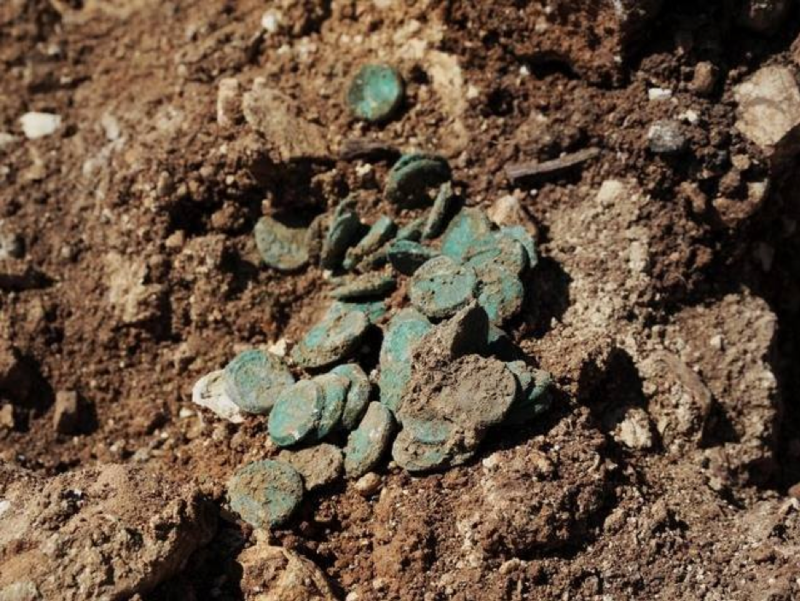 This could only have happened once the Persians rose to imperial power in the mid to late sixth century BC and Hebrew speakers and writers came under their direct influence. Furthermore, we need to ask what Hebrew word the loanword could have replaced. In the case of דת (‘law’), it could replace a number of Hebrew words, such as תורה (torah), חק (regulation), or מצוה (mitzwah). But then we need to ask, why would a scribe replace a Hebrew word that the original author thought perfectly adequate and which did the job admirably well for centuries? And in the case of biblical texts, these were texts that would have had some literary currency throughout these centuries. These aren’t the kind of words that would become obsolete. In the case of פרדס, the closest words in Hebrew would have been גן (gan: ‘garden’ or ‘grove’) or כרם (kerem: ‘vineyard’ or ‘orchard’). If, for example, in Song of Songs, a later scribe took an earlier manuscript and inserted the Persian loanword פרדס (pardes: ‘park’ or ‘botanical garden’) at 4.13, why did he not replace the word גן (gan: ‘garden’ or ‘grove’) in the previous verse, and another seven times elsewhere in the book (4.15 [x2], 16; 5.1; 6.2 [x2]; and 8.13), or the nine occurrences of כרם (kerem: ‘vineyard’ or ‘orchard’; 1.6 [x2]; 2.15 [x2]; 7.13; 8.11 [x2], 12)? It just doesn’t add up as probable, let alone plausible. So we return to the original question: Could a scribe living at a late date have updated an earlier text with later loanwords? Without specific manuscript evidence to demonstrate it, probably not. But we do need to take each case on its own merits and ensure we apply sound reasoning to the analysis. There are weaknesses in our books, and there are things we wish we had emphasized more or stated differently but, honestly, we are becoming tired of knee-jerk reactions to our work that reflect a superficial understanding of its content and purpose. For example, we have seen the claim repeated that the aim of our arguments is to prove a late date of all biblical literature. This is a truly bizarre claim. We are pretty clear that we are saying that all linguistic dating arguments, both for early or late dates, don’t work. You’ll find the article by clicking here. Ron Hendel has also posted a couple of responses in the comments. 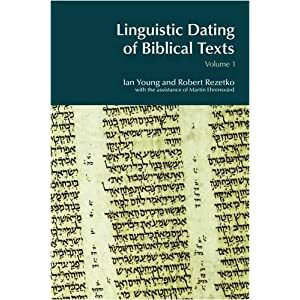 I have in the past pointed out and recommended the two volumes by Ian Young, Robert Rezetko, and Martin Ehrensvärd, titled Linguistic Dating of Biblical Texts (Equinox, 2008). In these two volumes the authors question the traditional view of the diachronic development of ancient Hebrew that sees the language move from ‘Early Biblical Hebrew’ (EBH) to ‘Late Biblical Hebrew’ (LBH). Instead, they put forward a compelling case that these two forms of Hebrew were actually different styles that existed concurrently. Their theory has caused quite a stir in linguistic circles, as evidenced again by the recent objection from Ronald Hendel (University of California, Berkeley) in his article ‘Unhistorical Hebrew Linguistics: A Cautionary Tale’ at Bible Interpretation. After reading Hendel’s short article, I do not believe he has adequately grasped the issues as Young, Rezetko, and Ehrensvärd present them. In fairness to Hendel, he has only written a very short article, so it was never going to be a comprehensive critique. However, it appears from Hendel’s argument that he is more interested in establishing a text via text criticism, than engaging with the both the linguistic data and the epistemic problems that the traditional diachronic model presents. Perhaps the major problem that Hendel does not address is the grounds on which biblical texts are dated. There are a number of assumptions inherent in his short analysis about when books are dated, and this depends on the traditional diachronic model, which is then used to support the dating of texts. It’s a circular argument that he does not appear to step out of. One of the good things about the work of Young, Rezetko, and Ehrensvärd is that they are able to highlight this epistemic circularity and actually demonstrate that the traditional diachronic model is trying to hold itself up by its own bootstraps. And it is this very point that many linguists appear unable to come to grips with and, indeed, continue to perpetuate. Again, I commend the work of Young, Rezetko, and Ehrensvärd, and urge those interested in understanding the development of the Hebrew language to consider their arguments more closely. This should begin with an actual reading of the two volumes of Linguistic Dating of Biblical Texts, rather than a potted summary, upon which Hendel seems to have relied. Yes, they are offering a paradigm shift in our understanding of Hebrew, but as one works through the data and its implications, one realises how many assumptions have been implicitly at work in our previous understanding, and how tenaciously many of us seem to be clinging to them unawares. Their work deserves close study, and although I don’t agree with every point they make, they do put forward a largely compelling case. Hendel has only served to convince me of this by demonstrating the classic faux pas that Young, Rezetko, and Ehrensvärd attempt to expose.